Michael Mamas is the visionary and developer of Mount Soma, a place designed to support spiritual growth, personal development, and health. Dr. Mamas is a thought leader in the areas of spirituality and personal development, with 35 years of teaching experience (including the U.S., India, Europe, and Canada). He helps people develop a deeper understanding and more comprehensive outlook by providing a bridge between the abstract and the concrete, the Eastern and the Western, and the ancient and modern. 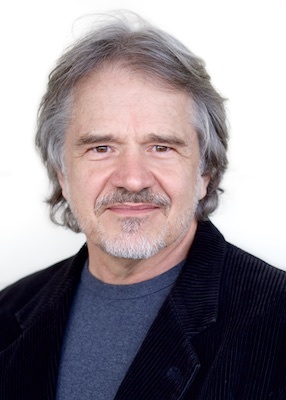 Michael Mamas is also the founder and CEO of The Center of Rational Spirituality. Dr. Michael Mamas began his Eastern studies at age 21 with his beloved Guru, Maharishi Mahesh Yogi, the embodiment of Vedic Wisdom in the eternal tradition of Vedic Masters. Soon after, he experienced a profound spiritual transition and spent a decade living a monastic life. With Maharishi Mahesh Yogi’s blessings, Michael Mamas sat with Indian Masters and healers throughout the world. It was years later that he realized he had been very thoroughly trained. He felt it was Maharishi’s intention all along that he spread the Knowledge. From the wisdom and knowledge he gained, Dr. Mamas derived a profound and practical approach to personal evolution and health, one that transcends both traditional and alternative methods. Michael Mamas’ Western education includes a Doctorate in Veterinary Medicine, a Master of Business Administration, and a double major in undergraduate honors Math and Physics. Michael Mamas is the acclaimed author of nine books, including The Golden Frog (a novel), Unconditioned Spirit (book with home study course), Look Deeper Live Better, The Relationship Sutras, The Dharma Sutras, and Lily’s Magic Garden (a children’s book). 1994 Michael Mamas founded the School for Enlightenment and Healing (SEH), eventually called the School for the Evolution of Humanity, created to help people uncover their full human potential by facilitating the natural development of consciousness. Classes continue to be offered in California and North Carolina. Today, all programs are offered through the nonprofit organization, The Center of Rational Spirituality (CRS). 2001 Dr. Mamas founded the 501(c)(3) non-profit organization, The Center of Rational Spirituality (CRS). CRS is dedicated to the evolution of humanity through the integration of ancient spiritual wisdom with modern rational thought. The impetus for forming CRS was to create accessible and affordable venues for teaching Vedic knowledge in its purity to people in modern society. 2002 Michael Mamas founded Mount Soma, a community based upon the fundamental principles of nature, known in the ancient Eastern world as the Veda. By utilizing Vedic technology, a city is being created that radiates harmony and coherence into the environment, called an enlightened city. Every aspect of Mount Soma has been designed to promote people’s spiritual evolution, health, and full potential. Currently, Mount Soma is a spiritual destination center and place of pilgrimage for people from around the world. 2009 Dr. Michael Mamas established the Mount Soma Ashram Program. The primary focus of the Ashram Program is the evolution of the individual. However, this core group is the backbone of Mount Soma and the starter culture for bringing Vedic Knowledge to the world. 2011 Sri Somesvara, Mount Soma’s Shiva temple, was completed. A foundational element of an Enlightened City is a Vedic temple. It utilizes the principles of Vedic technology to bring out the harmony and coherence at the base of existence and radiate it out. It was designed by a student and relative of Dr. V. Ganapati Sthapati, conforms to U.S. building codes, and was finished by shilpi craftsmen. It contains 46 tons of granite sculpture shipped from India. 2011 The MM World Peace Project began with peace yagnyas being performed at the twelve Jyotirlingas in India. Then, it included the eight sacred Ashtavinayaka Ganesh temples in India. The Vedas bless us with the knowledge of a powerful technology capable of bringing peace to the world. Implementing this knowledge is the sole endeavor of MMWPP. This project will continue to expand for years to come. 2012 The MM World Men Project was established in India. This project takes young boys and educates them in Vedic knowledge and modern scientific thought, eventually developing them into Vedic ambassadors and world leaders. They will learn to interface seamlessly with different cultures, while breathing life and integrity into each. Michael Mamas brings out ancient Vedic Knowledge, the Knowledge at the base of all religions, in modern terms. He is able to talk about Vedic Knowledge in a way that makes sense to the younger generations and modern mentality. He is also the protector of the Knowledge, making sure Knowledge is brought out in its purity. Michael Mamas merges Eastern and Western thought, unites science with spirituality, and helps people experience the meaning of his words within the depth of their own being. Michael Mamas’ daily awareness is on the world and bringing peace and harmony to it. It is his mission in life to bring Divine Knowledge forth and transform global consciousness through Mount Soma. Michael Mamas is one of the rare individuals of our time who exemplifies true universal wisdom and has the ability and willingness to relate this subtle knowledge to the world. “Brahmarshi” (One who knows Brahma and whose physiology has a nature to be with the Knowledge of Veda.) by Bhrigu nadi; January, 2003; and by Vedic Pandits, Jyotishi & Pandit Sanjay Rath, and Eastern and Western devotees; May 16, 2011. “Adhyatma Vidhya Visharad” (Master of the Highest Spiritual Knowledge, the deepest awakening of the Self) from Bhagavan Yagnyavalkya Ved Tatavagyan Yogashram, the Sanskrit College at the University of Gujarat; January, 2007. “Maharshi” (Great seer and one with the gift of being able to reveal that Knowledge to others) by Sthapatis, shilpis, and various Indian Sri Somesvara devotees; May 10, 2011. “Yogi in Adhyatmika Vidya (spiritual knowledge) and a Master” by Sree Samavedam Shanmukha Sarma; August, 2014. Michael Mamas’ articles, videos, audios, and blogs are mere tools, stepping-stones to a deeper knowledge. Please take the time to explore the subtle distinctions and ponder the deep-rooted meaning of this material.